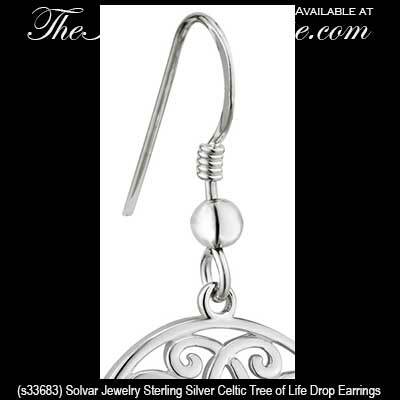 Sterling silver Tree of Life earrings are a dangle design that feature a Trinity knot motif. These tree of life earrings have been hallmarked sterling silver by the Irish Assay Office at Dublin Castle in Ireland. 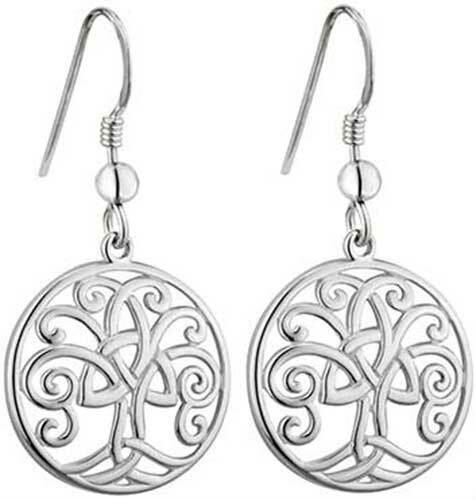 These sterling silver tree of life earrings are enhanced with a filigree Trinity knot in the center. The tree of life drop earrings measure 1/2" wide x 1 1/4” tall from the bottom of the earring to the top of the fishhook wires. 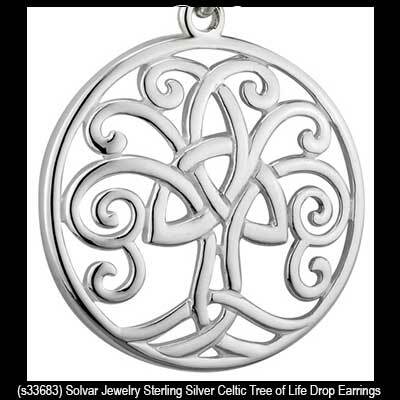 This Irish jewelry is gift boxed with Celtic knot and tree of life history cards, complements of The Irish Gift House, and they are made in Dublin, Ireland by Solvar Jewelry. The Tree of Life…It’s branches reach in search of learning and knowledge. and its roots represent our ancient Celtic heritage. Tree of Life pendant is a large design featuring sterling silver construction that is enhanced by a Celtic Trinity knot in the center.